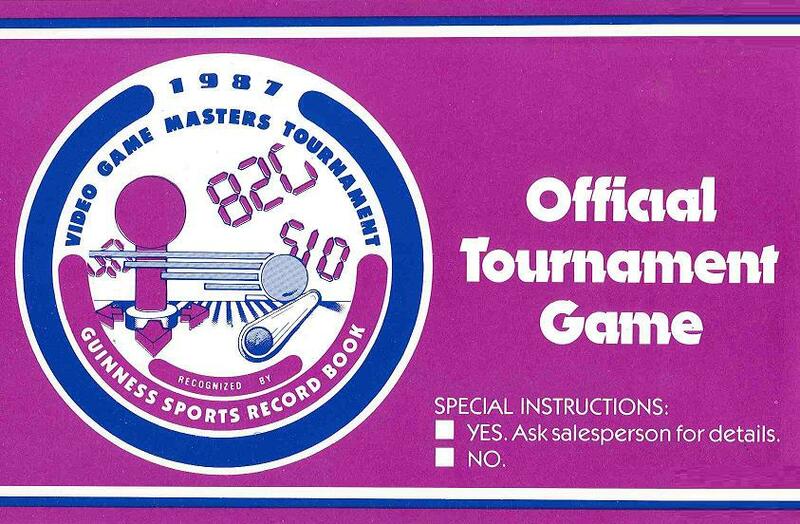 The 1987 5th Annual Masters Tournament was with Bally's Aladdin's Castle. This Tournament was run by Steve Harris, of the (APA) (Amusement Players Association). decided to no longer track Video Game High Scores. 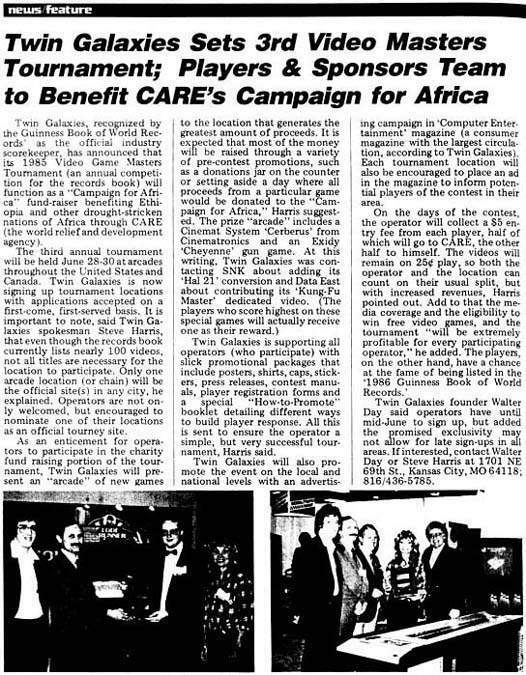 (an annual competition for the records book) will function as a "Campaign for Africa"
CARE (the world relief and development agency). lists nearly 100 videos, not all titles are necessary for the location to participate. locations as an official tourney site. very successful tournament, Harris said. 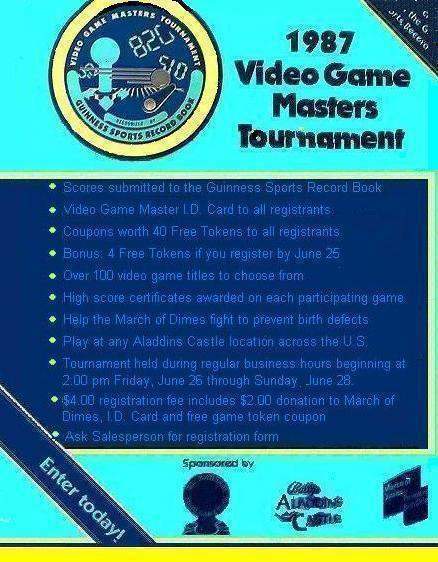 tabulated and sent to the Guinness Book of World Records by Walter Day of Twin Galaxies.